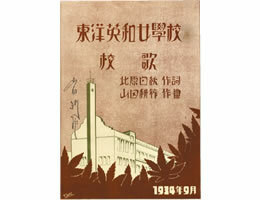 History : Toyo Eiwa Jogakuin. In Azabu Toriizaka, Tokyo, in 1884, Toyo Eiwa Jogakko was opened by Martha J. Cartmell, a missionary sent by the Woman's Missionary Society of the Methodist Church of Canada (currently the United Church of Canada). Overcoming many difficulties, such as a backlash against Europeanism, the rise of nationalism and other pressures during World War II, our school has still been standing true to the purpose of its founders and teaching in the Christian spirit. Toyo Eiwa, which started with two students, currently has a total enrollment of nearly 4,320 students. 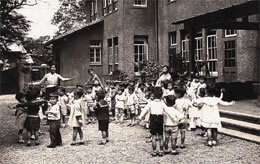 Toyo Eiwa Kindergarten in the 1930s A scene from Mr. Wataru Nagano's geometry class (in the 1940s). As chancellor, Mr. Nagano laid the foundation for the development of Toyo Eiwa after the war. "After the rain, we see a rainbow. Let's believe in the rainbow blessing," Isabella S. Blackmore encouraged her students and colleagues after the school building frames collapsed twice as a result of typhoon damage during their construction. Serving as the principal four times, Miss Blackmore held office for forty years. She educated the girls based on Puritan religious ideas, and her educational motto was "Freedom lies in strictness." Navigating the crisis in Christian education caused by the 1899 announcement of the Ministry of Education, she reorganized and developed the school. When Toyo Eiwa Collegiate Department was affiliated with Tokyo Woman's Christian University, she became Chair of the Board of the university. Moreover, she took on heavy responsibilities for both the Nagasaka Orphanage and the Kobokan Settlement. She also strived for the expansion and practice of social work. "The education I was given at Toyo Eiwa in my early life guides my entire life. The fact that I was engaged in social work while studying as a student has defined who I am today." Graduated from Toyo Eiwa Jogakko in 1894. President of the Alumnae and Board of Directors. 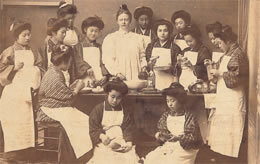 As the leading authority in Japan, Sumi Oe was committed to training girls' school teachers in domestic science. She also conducted significant research in this area, publishing two famous pioneering books. She established the Tokyo Kasei Gakuin school to realize domestic science education. "Education is not merely to transmit knowledge, but also to cultivate sensitivity of the joy in contemplation of creation and the mental exertion this requires, as well as the quest for knowledge. I felt this keenly even at the early age of twenty. What I learned in my school days in Azabu is indelibly imprinted in my mind." Graduated from Toyo Eiwa Jogakko in 1913. While in school, Hanako Muraoka was introduced to Nobutsuna Sasaki, a leading poet, by her classmate, Byakuren Yanagihara. Among his followers, she met Hiroko Katayama, a graduate of Toyo Eiwa, who influenced her enormously in literary and spiritual matters. After the war, she successively filled various positions both on government boards and in cultural organizations. Besides a collection of fairy tales titled Tampopo no Meshe published many books, including the translations of the Anne of Green Gables series by L.M. Montgomery. 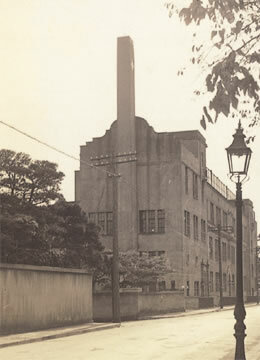 Toyo Eiwa Jogakko was founded in Azabu Toriizaka (now Roppongi), Tokyo. Toyo Eiwa Primary School was opened. Mission Training School for Kindergarten Teachers started with student teaching at Baika Kindergarten in Ueda, Nagano. 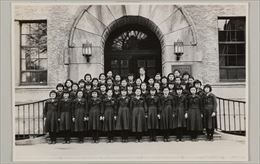 Mission Training School for Kindergarten Teachers was moved to Tokyo and became a department of Toyo Eiwa Jogakko. 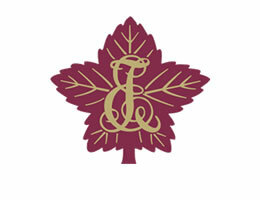 The school emblem and students' uniform were made official. The school motto, "Reverence and Service" and the school banner were finalized. Celebrated the 50th anniversary and established the school anthem. Changed its school name to Toyo Eiwa Jogakuin. Postwar educational reforms brought the 6-3-3 school system to Toyo Eiwa Jogakuin. Opened the Child Education Department of Toyo Eiwa Junior College. Opened the English Department of the Junior College. Built the off-campus facilities in Karuizawa, Nagano. Rebuilt the off-campus facilities by Lake Nojiri, Nagano. The Junior College opened Kaede Kindergarten. The Junior College moved to Yokohama and opened the International Liberal Arts Department. 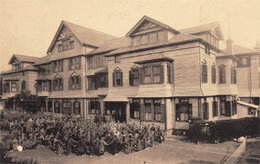 Opened Toyo Eiwa University at the Yokohama Campus and established the Faculty of Humanities. The evening Graduate School was opened at the Roppongi Campus. The University faculties were reorganized into the Faculty of Human Sciences and the Faculty of Social Sciences. The Center for Continuing Education was opened at the Yokohama Campus. The Junior College was closed.